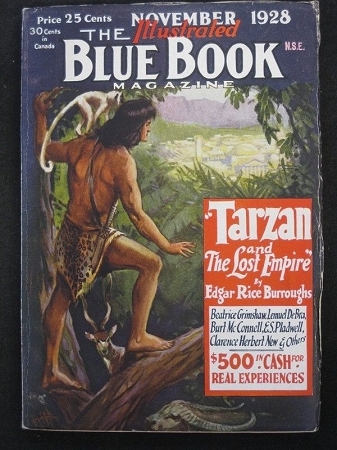 Blue Book - Ultra High Grade Set of Burroughs "Tarzan and the Lost Empire"
Complete set of a very hard to find serial. Please pay very close attention to our grading guide because we are very specific and the condition of a pulp or magazine can be critical to its value. Although we are not perfect, we are very proud of our grading and strive to become the grading standard of the internet. 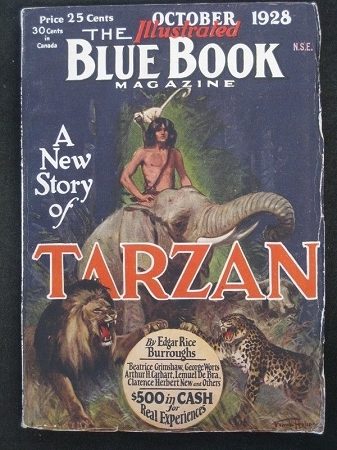 When grading pulps we identify a grade which includes the cover, spine, and back cover. Then we describe the paper quality from off-white to brown or brittle. 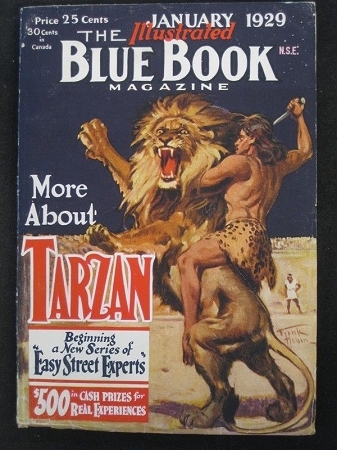 For lower grade pulps in lots or regular magazines (which dont have the same paper quality problem) we dont usually describe the paper quality unless there is a significant problem. In general, regular magazine paper is usually a supple cream to tan. VERY FINE-(VF): Appears almost like new with high color gloss. It is a flat, tight book with no or almost imperceptible cover creases. The overhang may bend and have a few very small creases or tears but none large enough to affect visual appearance. FINE-(FN): A sharp copy with minor defects. Very minor tears, a minor 1/8" chip out of the overhang. 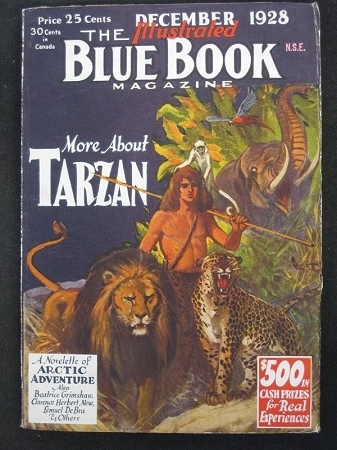 A flat tight book that may be similar to a VF but doesnt have that freshness or gloss. Ten Detective Aces Nov 1944 Talmage Powell "Murder Reigns in Sunshine City"